July 4 is one of the nation’s top ten busiest travel days, with a record number of Americans anticipated to hit the highway this year—47 million! Sadly, right now the federal government is working to roll back Clean Car standards that not only save greenhouse gas emissions but also save you and your family money. America’s Clean Car standards insulate Americans from rollercoaster gas prices—59 cents higher this year than last—and are designed to save you money at the pump. 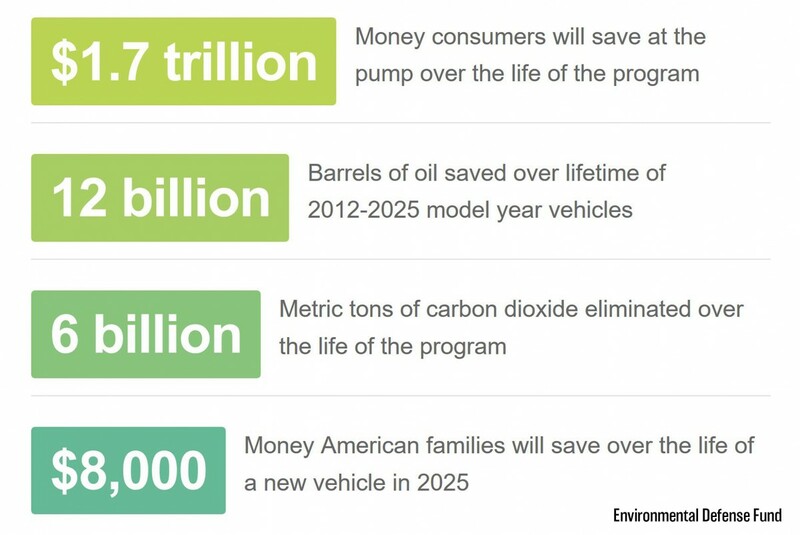 These successful standards also reduce air pollution and decrease oil consumption. Rolling back the clean car standards would slam the brakes on innovation in the auto industry and make driving more expensive. The average household spends about $1,500 on gasoline. When the price of gas spikes, that figure multiplies. 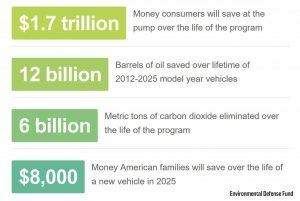 Check out these numbers on how much the clean car standards help your family and the planet and what we would lose if their scrapped. Jack-rabbiting means you accelerate and brake quickly and abruptly. It can actually increase your fuel consumption by as much as 40%. Not only that, but testing proves that Jack-rabbit starts and stops reduce travel time by only 4%…but increase toxic emissions by over 500%! So relax and accelerate slowly and smoothly. 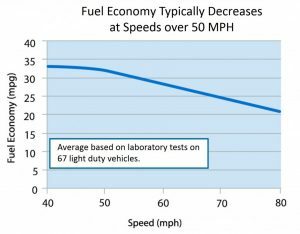 Not only is driving the speed limit safer and prevents an expensive speeding ticket, it helps your engine perform efficiently. Like the Jack-rabbit issue, avoiding unnecessary acceleration can save fuel (and greenhouse gas emissions). 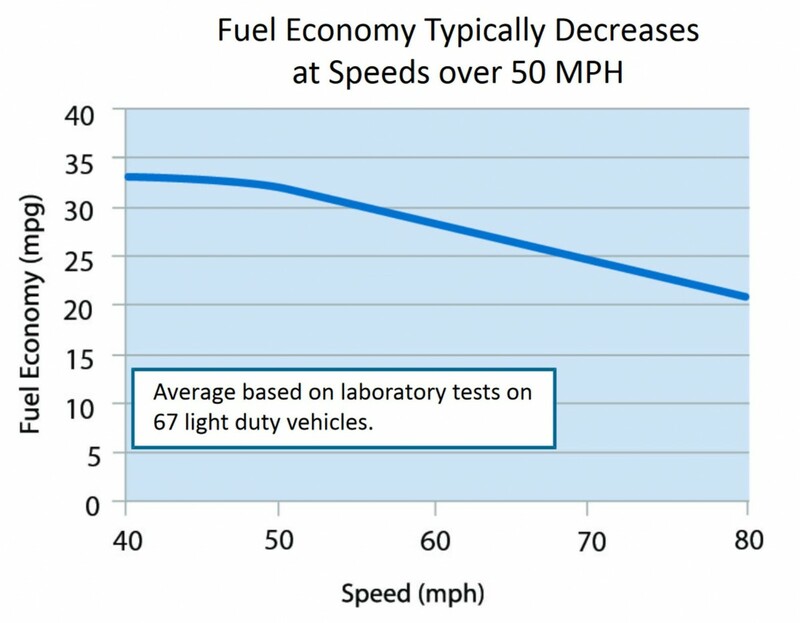 When you increase your highway cruising speed from 55mph to 75mph, it can raise fuel consumption by as much as 20%. So try to hit the sweet spot of 55-60 mph when possible, and you’ll improve your gas mileage 10-15%! Surprisingly, speeding doesn’t actually get you anywhere much faster anyway. On a 30-mile trip, driving 75 mph instead of 65 mph saves you just 3.7 minutes. Drive smarter, not faster! Keep it rollin’: Make sure your tires are properly inflated. Under-inflated tires increase fuel consumption by as much as 6%. According to the Energy Information Administration, tire efficiency could save approximately 800,000 barrels of oil a day. Check tire pressure monthly. Engine checkup: Service your engine regularly. A poorly tuned engine can use up to 50% more fuel and produces up to 50% more emissions than one that is running properly. Get that junk outta your trunk: Empty your trunk and remove that roof rack. Heavy items in the trunk adds unnecessary weight and a roof rack causes drag. Both cut down on efficiency. If your car or truck is nearing the end of its life, consider getting an Electric Vehicle next time. New models come on the market often, they’re increasingly affordable and easy to charge, and they’re fun to drive! Learn more at www.ct.gov/deep/evconnecticut. All of us at CFE/Save the Sound wish you a happy Independence Day and we promise to keep fighting alongside you for energy independence.